It is said that while the King of Orchha, Madhukar Shah was a worshiper of Lord Krishna, on the other hand, the queen, Kunwar Ganeshi was of Lord Ram. 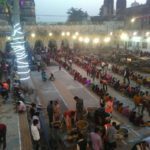 History says, once the king jokingly said to the queen that if you are such a big worshiper of Lord Ram, why don’t you ask him to come to Orchha. It took rani 9 months to reach from Ayodhya to Orchha. And in the meanwhile, a temple for Lord Ram was under construction. The huge temple was created in such a way to be viewed from queen’s bedroom. But until they reached the temple was yet not completed. So for the time being the idol was placed in the palace kitchen unknowingly that now the idol will not move due to the condition, so the kitchen was then converted into the temple. This is where the Raja Ram temple is now and people worship Lord Ram as a Raja(king) here! I was lucky to visit around the time when there were preparations going on for Raja Ram Marriage Festival Program. 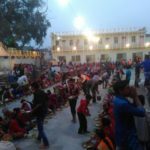 It is a 3-day long festivity usually in the month of November, which involves the devotes to various functions like Community Lunch, Bridegroom’s Procession, Ram Kaleva/Breakfast. Temple opens up early morning and closes in the daytime few hours. 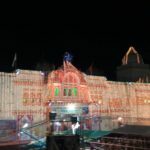 And later opens up in the evening for the aarti. Aarti starts sharply at 7 every evening. The priest follows basic rituals, and a police staff offers salami/salute to Lord Ram as he is a Raja/king here. And this is followed by sholoks/prays and the temple is then open for visitors to visit the idol. Note: Photography is not allowed inside the temple premises. PS: Don’t miss out on the small shops near the temple which sells colours, sweets and other fake jewellery etc. Kalakand is the local sweet that is offered to the idol here. Does this place falls near dehradun I would love to visit during diwali. 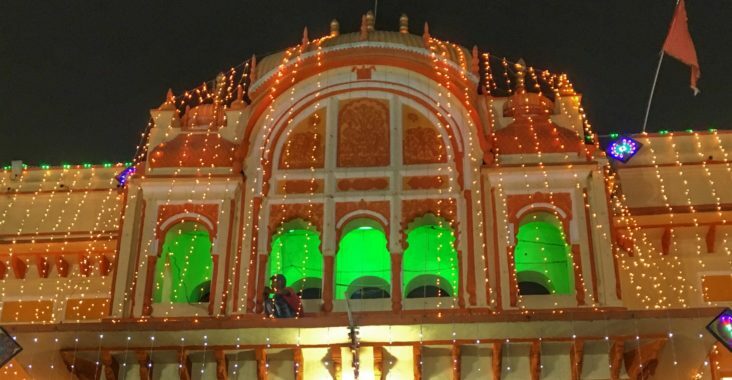 Thanks for this beautiful post on our heritage raja ram temple, may Lord ram bless all of us. Interesting and first time to hear this name. How far it is from Dehli?